On New Year’s Eve of 2015, some of the GamingEDUs hardiest explorers and builders braved the mobs of creepers, zombies, spiders, and skeletons to gather for the 2015 GamingEDUs Sign of the Times Party. Folks started arriving in the spectacular Mesa desert location just after 7pm. The Sign of the Times build for 2015 was located just a skeleton’s arrow away from Gumby’s Mesa Manse, which was nearing completion after almost three day’s construction. The preparations for the actual party took place over a day or two leading up to the eve of the New Year, with PraxisMaxis and Phisagrim working hard to prepare launchers and fireworks for display at the turn of the year. One of the first Youngers to arrive on the night of the event was Jack1225, asking what he could do to help prepare. Jack very quickly rose to the challenge of stocking and staffing the snack bar with the necessary foods and beverages. The snack bar, located in the base of the 2015 sign, was renamed Jack’s Snack Shack. MikeyTyrant arrived shortly thereafter, and after contributing to the preparation of the snacks, Mikey constructed a wonderful Snack-and-Chat eating area a short distance from the sign, and then built a wonderful grandstand on top for viewing the fireworks. Throughout the evening, folks were seen queuing up for snacks, and then enjoying them and the company of their friends in the Snack-and-Chat. In celebration of Jack’s birthday, a beautiful birthday sphere appeared, floating in the air. Everyone assembled for a group photo (image above), and then when the midnight hour arrived the marvellous fireworks show was enjoyed by all! Thanks to everyone who stopped by and we look forward to the new folks who will join our ranks over the coming year! 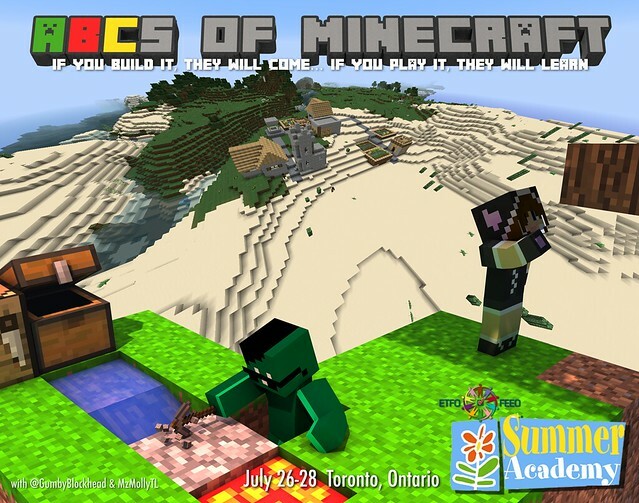 We wish everyone a fantastic year of exploring and creating! NOTE: The 2015 Sign of the Times party was held under the aupicies and with the support of the GamingEDUs International Office of Mesa Preservation (GIOMP), with the expectation that the Mesa site would be returned to its natural state after the event was concluded. Special Permission was obtained to leave the 2015 Sign Of The Times in place for appreciation by future generations. We have complied with all necessary requirements and statutes. The following image was captured the morning after the Party as the sun was rising over the mesa. Chandrasutra‘s roller coaster appears to the left in the far distance, MikeyTyrant‘s green Snack-and-Chat Grandstand appears next to the right, and Jack1225‘s birthday sphere appears next, partially obscuring the 2015 sign. Gumby’s Tennis court appears in the mid ground to the left, visible just beyond the white roof of the Sitting Room in Gumby’s Mesa Manse. “Sunrise on 2015,” animated GIF by GumbyBlockhead, shot from the roof of the Mesa Manse. 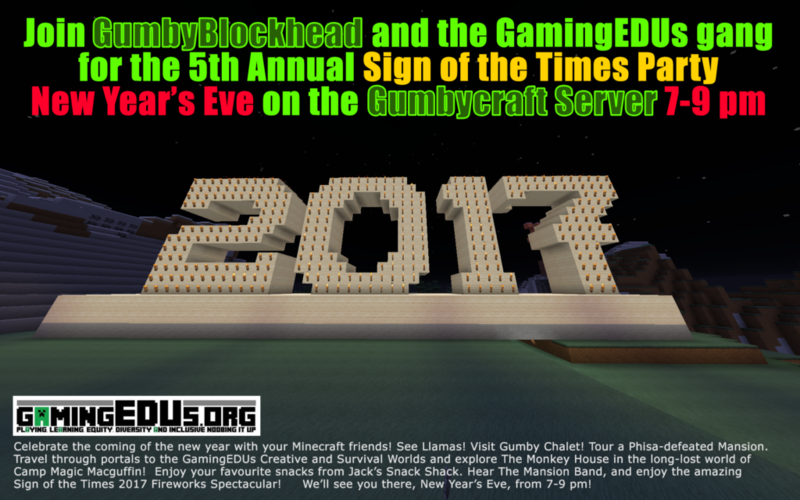 « Join us for Gumby’s 3rd Annual Sign o’ the Times New Year’s Party!